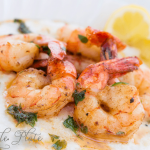 Grits are a must in southern cooking and this Southern Shrimp and Grits Recipe is no exception! We love our grits in the south and they’re not just for breakfast! If you’ve never been south of the Mason Dixon line, odds on you’ve never truly enjoyed these yummy bites of deliciousness. For those of you familiar with polenta (basically its yellow grits and a few more things) you’ll love the creaminess of this grits recipe. Alton Brown of Food Network fame had a whole show on Good Eats dedicated to grits and polenta and the differences. I can tell ‘ya though the whole family will find something they love about this dish! 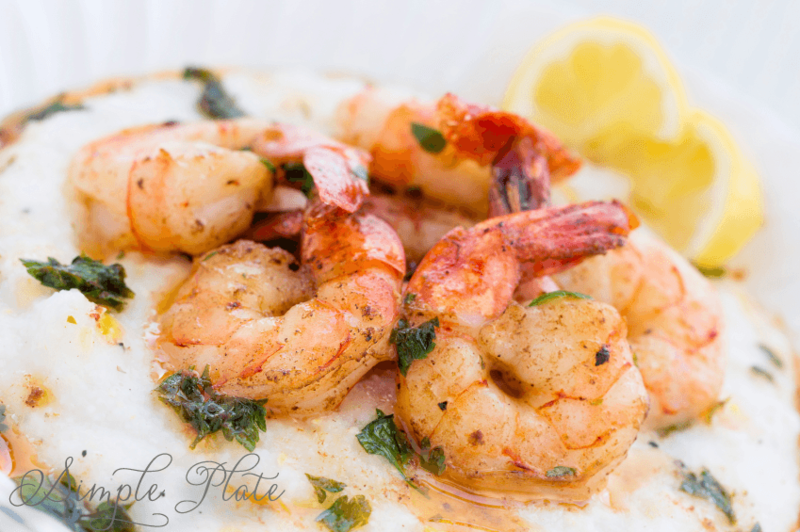 Grab a print and try this for dinner this weekend! A true Southern Creole classic made family friendly. Bring milk and 1 1/2 cups water to a boil in a large saucepan over medium-high heat; gradually whisk in grits. Reduce heat to medium-low, and simmer, stirring occasionally, 10 minutes or until thickened. Meanwhile, sprinkle Creole seasoning over shrimp and set aside. Add shrimp, and until shrimp are almost pink. Add green onions, lemon zest, and hot sauce and sauté 3 minutes stirring constantly. Stir cheese, butter, salt and pepper into hot grits. Spoon shrimp mixture over warm grits to serve. Garnish if you like with fresh chives or cilantro and a lemon wedge. We love the flavor of Gouda Cheese, if you prefer you can substitute sharp cheddar. Sriracha sauce can be omitted and a little hungarian sweet paprika substituted. Shimp and grits! Southern staples! Hope you’ll try it!